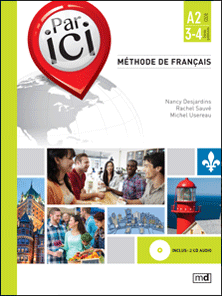 Par ici is a French learning method entirely developed by Quebec teachers. 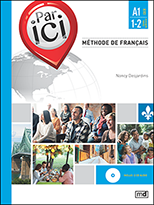 Each workbook is designed to build the set of skills described in the Curriculum Guidelines (oral production, oral comprehension, written production and reading comprehension). 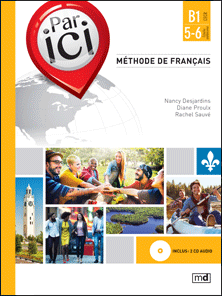 Par ici encourages learners to apply newly-acquired language skills to real day-to-day situations. 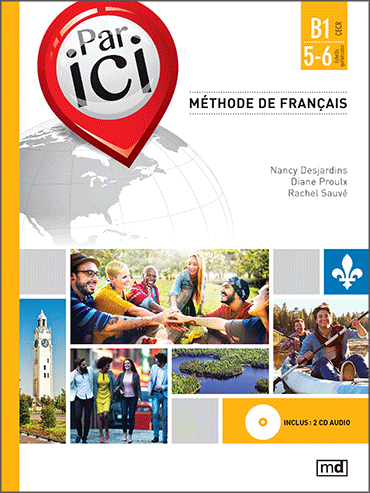 For each level, a supplementary exercise book and an instructional guidebook will be available. 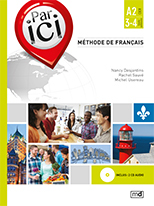 Click here for an overview of current titles. In this short video, author Nancy Desjardins details the purpose and structure of the Par ici method.